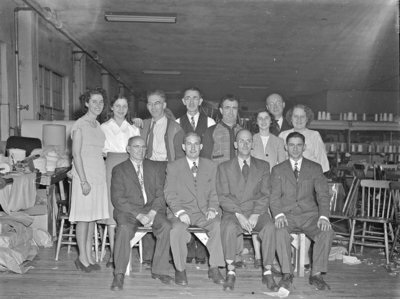 Black and white negative showing the employees of Natlie Knitting Mills celebrating Christmas at their staff party. Natlie Knitting Mills Christmas Party, 1947, Marjorie Ruddy. Whitby Archives A2013_040_1194.